iKNiTO is a state of the art comprehensive digital library solution. It is suitable for all institutions which provide online resources such as journals and books to their members and staffs. Universities, colleges, companies, banks, public libraries, hospitals, clinics, are just some examples of such institutes. This technology is available in both Android and iOS. If you are building a new library, an experienced team helps you to decide about the best content for your institution based on your subjects of interest and industry standard ranks. However, if you are coming from a well established library, iKNiTO can assist you in evaluating your resources and help you in optimizing your collections, should this be required. 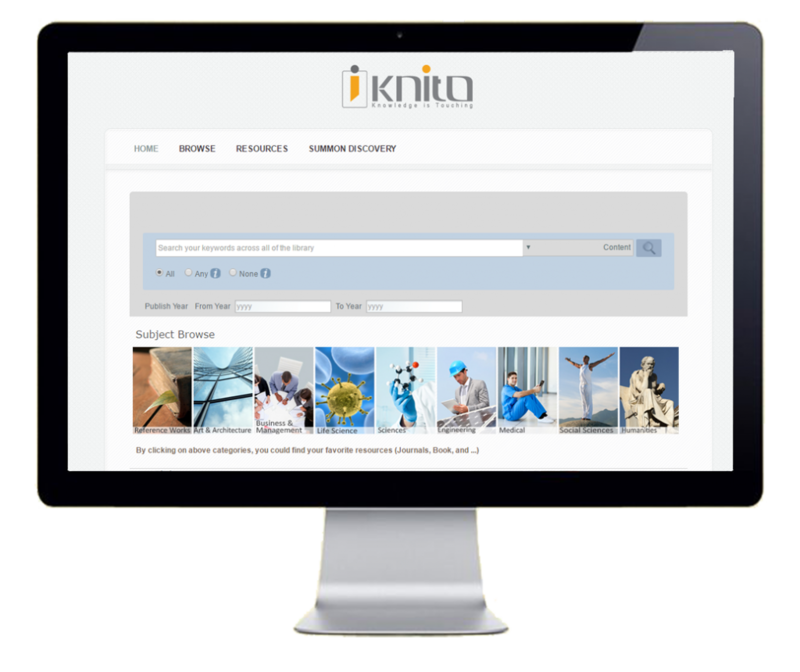 Once operational, iKNiTO helps you to disseminate information about resources, provide trials accesses to non-subscribed resources, and announce trainings and special events. It helps users to retrieve information in simple and easy ways. iKNiTO runs in almost all different desktop, laptop, tablet, and mobile platforms. It helps you to take the library to your users rather than expecting users to come to the library. iKNiTO provides a great deal of reports on usage statistics which help institutions to evaluate their content and if necessary change their acquisition policies or adjust them. Advanced Browsing enables you to find invaluable titles (best databases, high ranked journals, awarded books, and best references) between thousands of titles quickly. No need to spend a great deal of your time to find most relevant titles. We monitor H-Index, Impact Factor™ from Thomson Reuters , reviews and national and international awards in evaluation of iKNiTO Enterprise titles. Web Scale Discovery (WSD) is the new generation of Federated Search. WSD enables you to search your favorite keywords between 1 Billion academic records via discovery simple search box, and then you will receive all related results in less than one second!!! WSD indexes more than 1000 databases, such as Elsevier ScienceDirect, SpringerLink, Wiley Online Library, Taylor & Francis, Routledge, IEEE Xplore, OUP, CUP, CRC, Emerald, Nature, Science, ProQuest, Ebsco, … daily to ensure, you will not miss any single record. 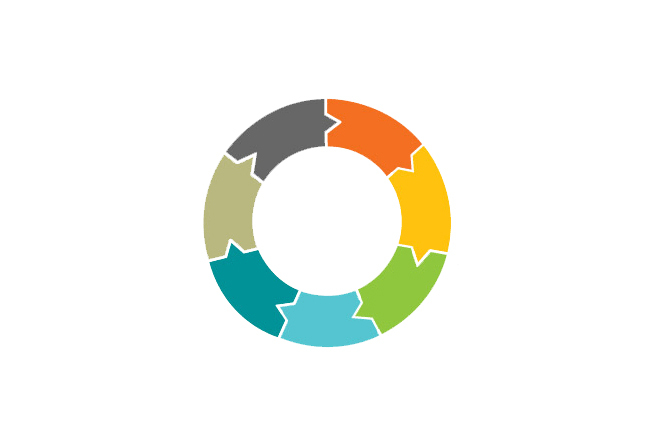 Link Technology helps us to connect you from abstracts and citations to full text articles or book chapters available in iKNiTO Enterprise collections. We use open URL technology to guide you to the full texts simple and direct. iKNiTO Enterprise uses 360 Link© and CrossRef© technology which make it the most accurate and update link service in the world. Research Management enables users to create personal databases and use them for a variety of research activities. References are quickly and easily imported from text files or online databases. The databases can then be used to manage, store, and share the information. Users can automatically insert references from their database into their papers and generate formatted bibliographies and manuscripts (Scientific articles or special reports).